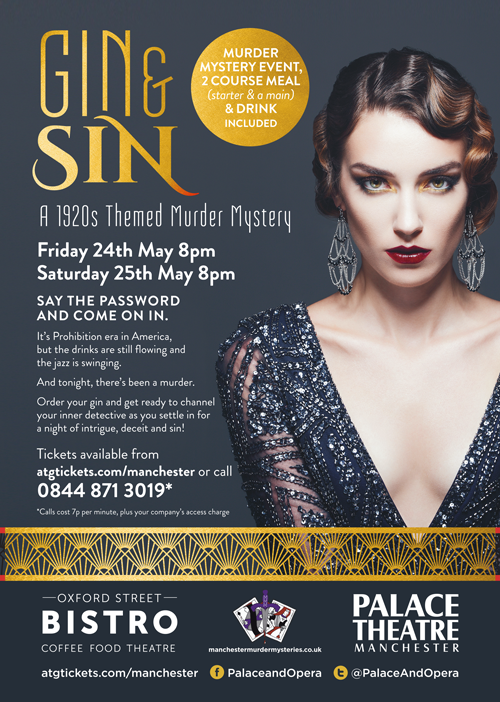 Exclusive murder mystery scripts, dedicated event planning and enthusiastic hosts make your celebration one to remember. 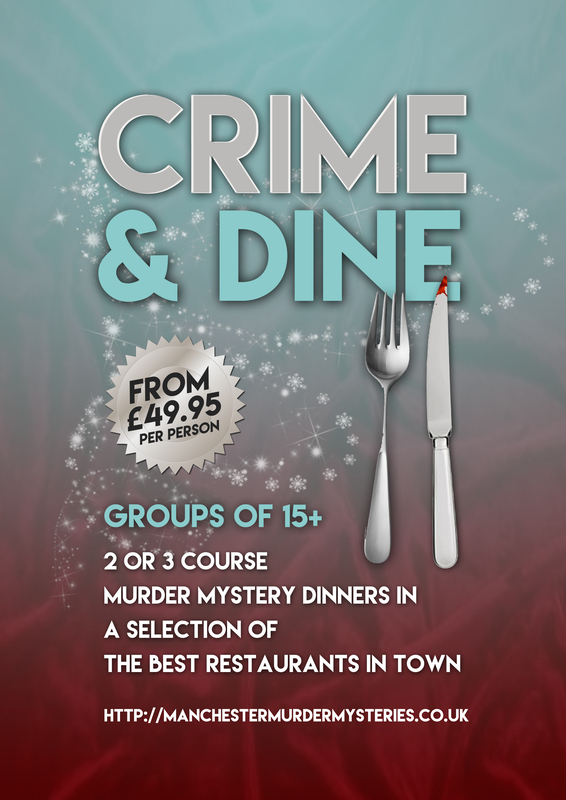 Exciting murder mystery dinners for friends, family, and colleagues. We know this means a lot to you, so let us help to make your party the best it can be. You can rely on our event management and tailored activities to make your clients happy and engage your team. 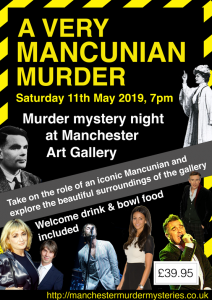 If you want a hilarious evening which all your guests will absolutely love, then book with Manchester Murder Mysteries. Some of my guests were horrified at first at the thought of taking part in an interactive murder mystery but all of them said afterwards that they'd loved it and it was a fabulous evening. So thank you very much for making my 50th birthday party so memorable! An amazing night with wonderful hosts. Everyone had a character, and acted out their parts wonderfully. There was even a quiz or two, some extra clues and even prizes for the smart detectives who correctly guessed the murderer. We did this activity as part of a hen party and Kathryn that delivered the mystery was great! She went at a pace that suited us and made sure we all had time to overindulge in food and drink. I'm not usually that good or interested in these types of activities but by the end of the night I was loving it! Apparently that was Kathryn's first time leading a murder mystery event but we would never have guessed that and thought she did a wonderful job. My sister who was making the booking said you were very accommodating and good to work with so thank you all for a great event. 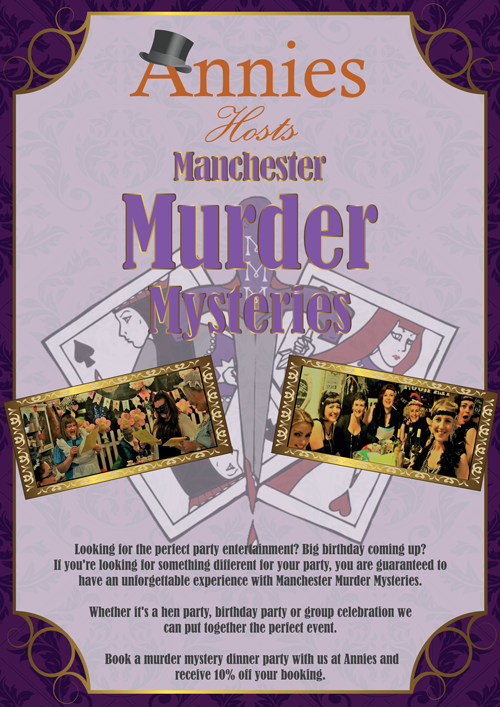 Manchester Murder Mysteries helped to organise my sister's hen party for last weekend. The quality of service was incredible from start to finish. They were always polite and friendly, accommodating and supportive, and Marcy who hosted the evening for us made sure that the night ran smoothly, all guests felt at ease and had a memorable time. It was a fabulous evening and would recommend it to anyone! Thank you so much again! Absolutely fantastic night! Great food, the hostess with the mostest and a theme that had us all rolling with laughter ‘Malice in wonderland’ thanks for making my 50th one to remember fondly. Create customer peace of mind, allowing you to focus on your celebration. Arranging parties, events and celebrations is tough, with the responsibility normally landing on one person – until you come to us. It’s good to feel special. That’s why we want to provide you with a unique experience, from our in-house written scripts to our carefully chosen venues. We enjoy what we do, and we think it’s only fair that we work hard to ensure that you, your family, friends, and colleagues enjoy our events.